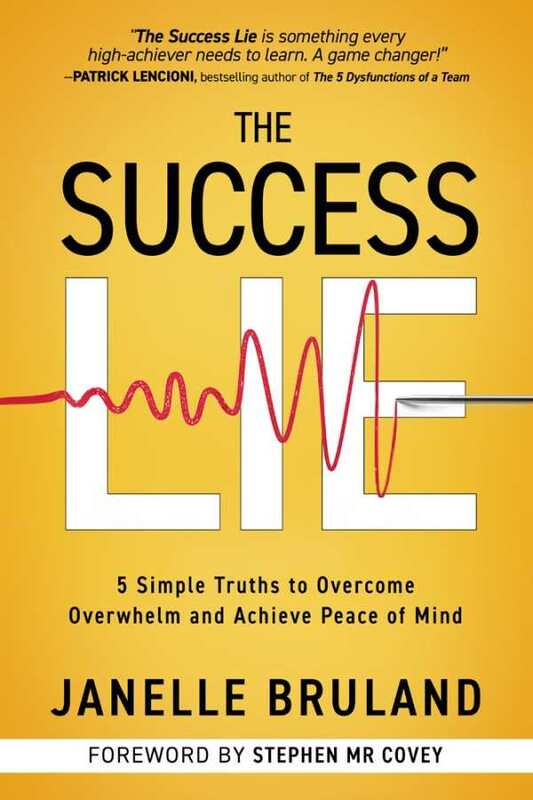 Well-researched and heartfelt, The Success Lie brings together strategies for achieving a well-rounded life. As a single mother and the owner of a growing company, Janelle Bruland knew all about stress—including that it is often synonymous with success. It took a health scare for her to realize that everything she’d been told was a lie, leading her to write The Success Lie, a motivational book that touches on all areas of a successful and well-rounded life. In its functions as a handbook, the book gives a broad overview of ways to reduce stress, enjoy life, and achieve high levels of success. Full of candor, compassion, and plenty of tough love, the text combines personal details with examples from bestselling books like Top 5 Regrets of the Dying and Good to Great to create its broad framework for living a fulfilling life. It touches on everything from physical health to work/life balance, from dealing with stress to scheduling and prioritizing in a way that’s not overwhelming. Every chapter includes personal anecdotes showing how Bruland handled its topical issues and referencing others whom she learned from through books, seminars, or personal interactions. The memoir aspects of the book focus on personal perseverance; they combine effectively with the book’s suggestions for achieving similar results. Written in clear and accessible language, The Success Lie will resonate with people of all backgrounds. Chapters end with helpful overviews of their content and questions and exercises to help integrate their information into any lifestyle. Exercises include valuable challenges such as creating a gratitude journal and evaluating your peace of mind. An encouraging tone pervades the book; even stories of Bruland’s darkest days are filled with warmth and hope. This makes the text’s motivational information easier to relate to. The Success Lie is persuasive in its suggestions to eliminate tasks that aren’t crucial to success, to create positive self-talk, and to develop habits that lead to success and personal fulfillment. As a motivational overview, The Success Lie has plenty of worthwhile tips and ideas for leading a balanced life. However, it falls short of breaking new ground. Its strategies for success and work/life balance are familiar, and the territory it covers is broad, with advice ranging from getting enough sleep and eating correctly to meditating and identifying your values. Often, it reads like a commentary on incorporating others’ concepts. Well-researched and heartfelt, The Success Lie brings together strategies for achieving a well-rounded life free of the stresses that many associate with high levels of success.